Queenie’s Pets is a full-service professional pet sitting business that can proudly and honestly call itself the best in the area. The success of the pet care company prompted the founder to move forward with business coaching, a separate but related pursuit. She approached me for graphic design work for both businesses. I created branding for the coaching side that corresponded with the pet care side. Once created, I designed print and web ads, wrote copy, and created web media. 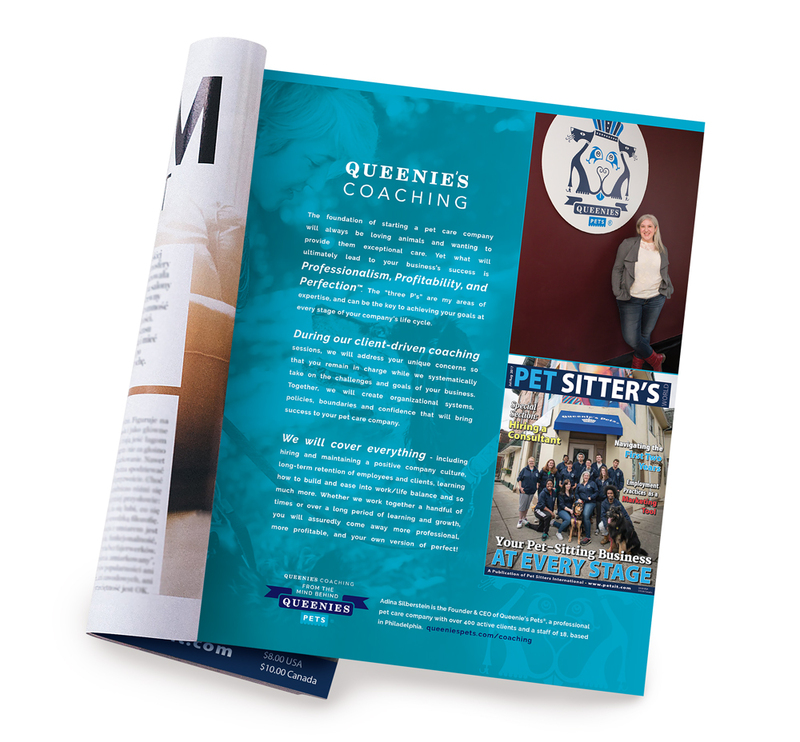 I have designed print materials for the pet side that helped raise awareness for new aspects of Queenie’s Pets. I’m excited to say there are new upcoming projects in the works!